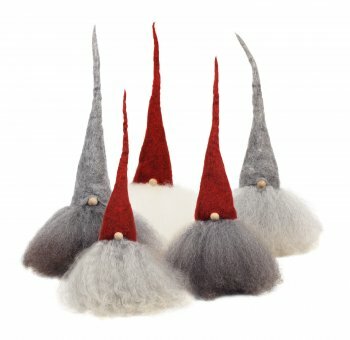 Home / STORE / Asas Tomtebods / Skaggtomte Large. Our classic model with a wooden frame. With a tangled wool cap and beard made with genuine sheepskins. All are available with red, grey or white cap. 30 cm tall.